Or maybe it’s a frog…but I couldn’t resist a quick post, after seeing Wendy’s blog today. Seems we have something more in common than quilting…lol. Mine was a gift from my boss. He got for me in China, when he was there. 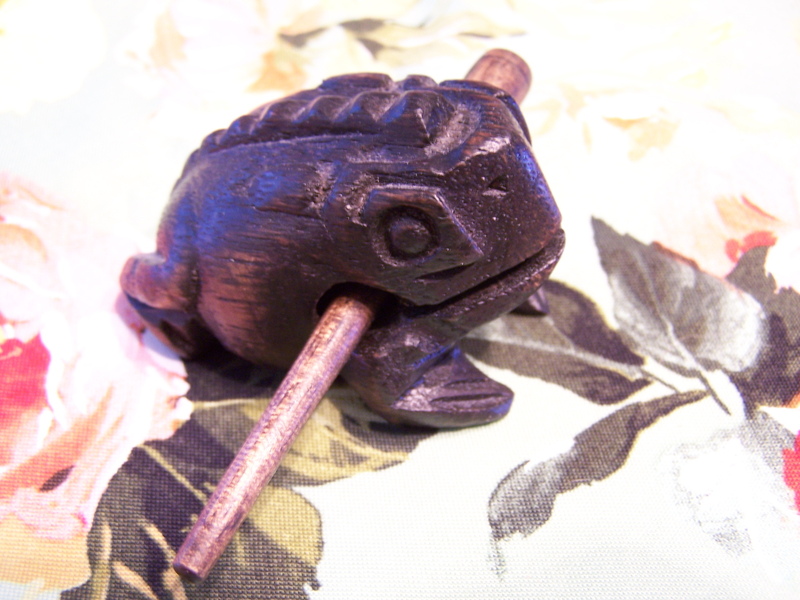 He always brings little gifts back for all of us, and since I’m so fond of toads and frogs, this was my little suprise. I drove my co-workers nuts, playing with it, making it “croak”…lol. Randi — what a fun post! Yes, it seems like we definitely have something in common other than quilting! 🙂 Mine was from Malaysia. I was told that the natives there make them – and actually use them to catch frogs!!!! I hope your day is going well for you. Hugs. OH man, I have one too. Aren’t they fun!